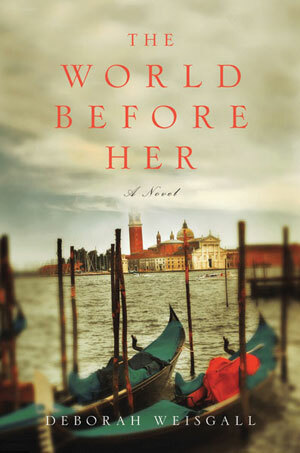 I just finished The World Before Her by Deborah Weisgall. It actually has taken me a long time to read this one, what with finishing grad school, moving to a new city, and on the hunt for a job every waking hour. It was packed away in the bottom of one of my backpacks, but am I ever glad I dug it back out. The story of Marian Evans (aka George Elliot) is fascinating, since much of it is speculation based on real historical documents and periodicals. I was expecting to be interested in this story line, since I have been a nineteenth century scholar and had just finished Middlemarch. There were a few pleasant surprises in this book. 1) The beautiful description- it so luscious you almost feel like taking a bubble bath in the words. It was very obvious that Weisgall had done her homework before writing. The descriptions of art and the so-difficult-to-describe subjective impressions and emotions one feels upon encountering that artwork modeled the artistry they were describing. The depth and richness of her descriptions is difficult to champion enough. 2) The tone is simultaneously sweet and melancholy, with a touch of bitterness. If you read the story, you will understand how perfectly that tone represents. 3) Although I did not love Caroline’s character, I really did want to go to her art show and see her work. Read it if: you enjoy feeling like you are reading the soul of an artist, if you want to luxuriate in prose, or if you are suffering through an incompatible relationship. Read with: Beecher’s cheese paired with Pinot noir/ dark chocolate paired with a rich port. This entry was posted in Fun, Reviews.